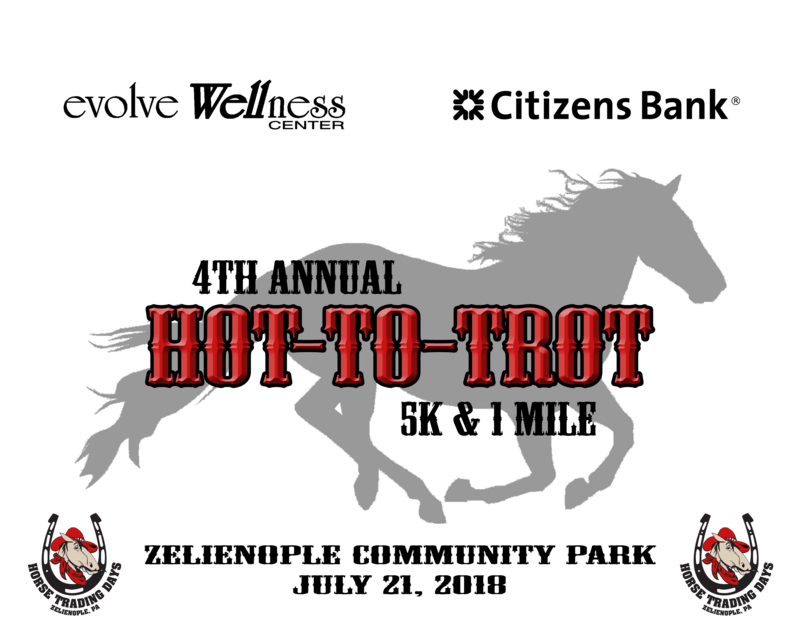 The Hot-To-Trot 5k is one of the featured events of the 2018 Horse Trading Days in Zelienople, PA. Horse Trading Days will be held from July 19-21 and the 5k will be run at 8 am on Saturday morning, July 21st. 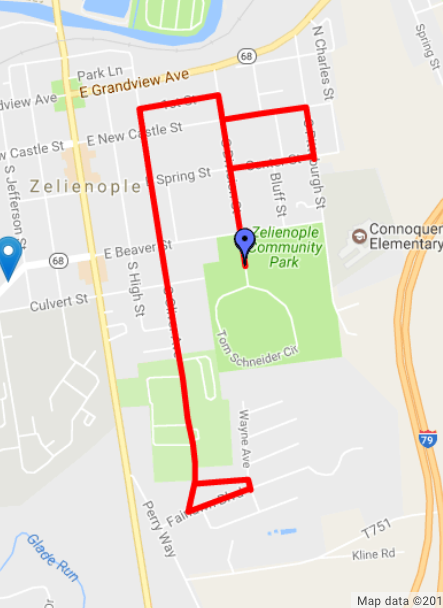 Starting and finishing in the Zelienople Community Park, this is a very fun course that will be enjoyed by runners beginner or advanced. Prizes and awards will be given to top finishers in the following categories: top overall, top male, top female, top male/female in each age group. Contact us for more information! We will also have a Family 1 mile run/walk starting at 8:45 am this year! Bring the whole family! Please note that only the 5k race will be timed - the 1 mile will be untimed! Late registration and ALL PACKET PICK UPS will be held the day of the event. The 5k race will begin at 8am in Zelienople Community Park. Last minute registration and packet pick-up will be available from 6-7:30 am in the park. Water and snacks will be provided after the race. Prizes for top overall times and top in each age category will be given post race. Pre-registration is $25.00 through this site. Race-day registration is available and is $30.00. T-shirts/sizes are only guaranteed for pre-registered runners. The Family 1 mile run/walk will start at 8:45 am. Strollers are welcome. Registration is $15 for all ages and each participant must be registered to recieve a t-shirt. T-shirts/sizes are only guaranteed for pre-registered runners.